Working across cultures is a new experience for many people. 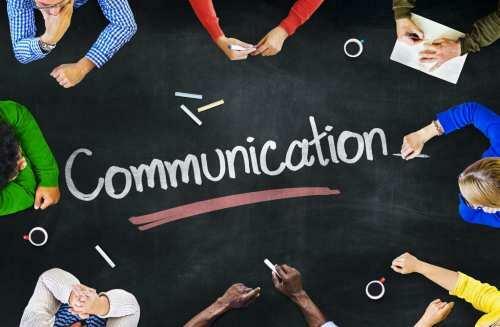 Intercultural communication can be a dynamic and creative affair but occasionally due to the inability to interpret people correctly it can be a challenge. Building an understanding of other people and need to communicate effectively is the most important task for any individual or organization. 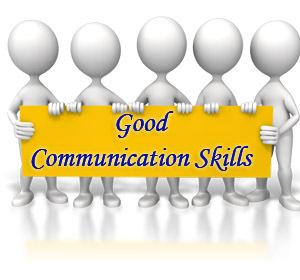 Today, it is not a task only that you can communicate and just pass on the message. It is most important that how you are convincing and delivering to your subordinate, BOSS, Client or any other person. Sometime, people admired and appreciate your work, but it most important again how you present yourself and your work in front of your management or client. Further, it is also important that any official or Officer/Managers must have know that how to write effective writing; especially memos, notifications, emails, business letters, publications, and story writing etc. This training helps you that how to write above letters and memos etc and further in this training you may get to know that how to write effective letters that creates the impacts on the other side person who are reading and making the perception after reading your words. Further, we also give you the tips and guidelines that how to creating impacts and other tactics to create the attraction in the letters or publications. Over 20 Years of professional experience in the field of Human Resource Management, General Management & Marketing. He is particularly expert in the marketing & HR and Training & Development. He has worked with Multinational, National Organization and perform as Group HR Head and established various organization in the Market. Further, he was engaged in the area of Management Auditing and develop the procedures in various organizations. He also has been involved in the training & development for last 10 years with 3D EDUCATORS and conducted so many workshops, training programs regarding of Human Resource Management, General Management, Quality Management. Due to his vase Experience in the field of HR and Marketing, he has developed so many professionals in the market and known as a great speaker. 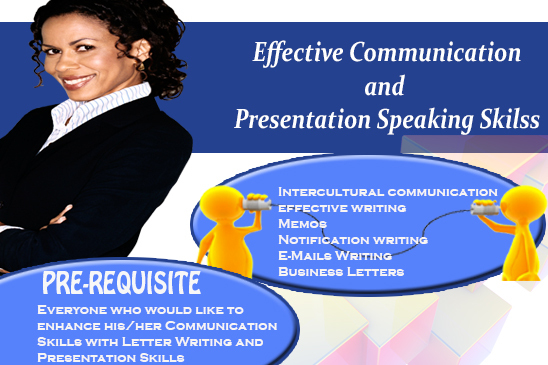 "Everyone who would like to enhance his/her Communication Skills with Letter Writing and Presentation Skills can join this training program." The following people can attend this course. Today, without having the effective communication, the acceleration in the market is impossible. 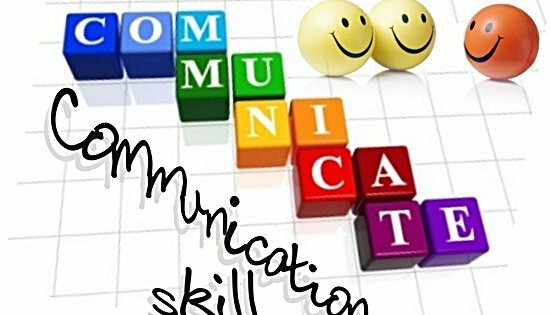 People who may have sound capability of communication and they can have to deliver what they are thinking and doing, so they are most successful people in world. As mentioned above the certifications are most important part now in the professional world. Especially in the field of IT, you cannot survive, if you don't have got the International Credentials with you. All big organizations Offer the different Certifications that accredited you in the professional world. This is further clarify that Effective Communication Skills Certification Shall be finally given by the International Body from USA IMRTC - International Management Research and Technology Consortium. 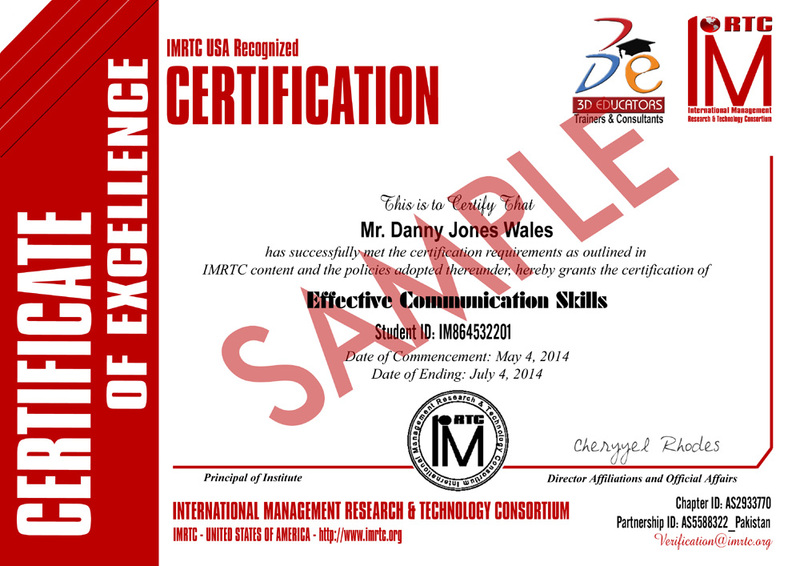 The Certification Holds the unique identity of the candidate, which can be verified through their official website http://www.imrtc.org.